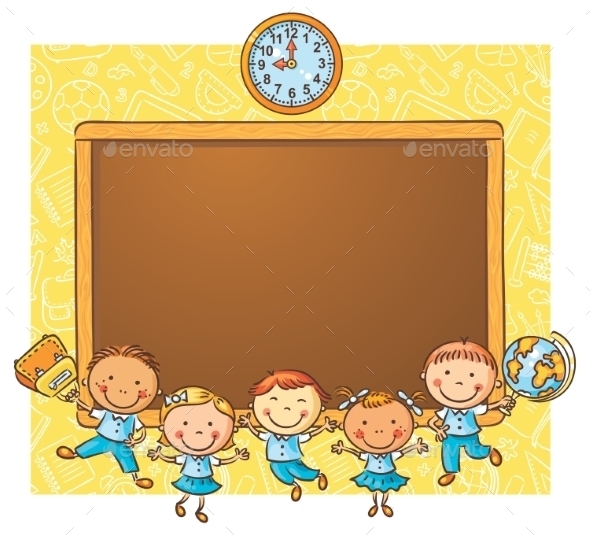 Blackboard vector background. Dirty textured. Vector illustration. Text is not editable! Cartoon blackboard, colored in 2 different ways. No transparency used. Basic (linear) gradients used. CDR , AI, EPS , JPEG and PSD files.